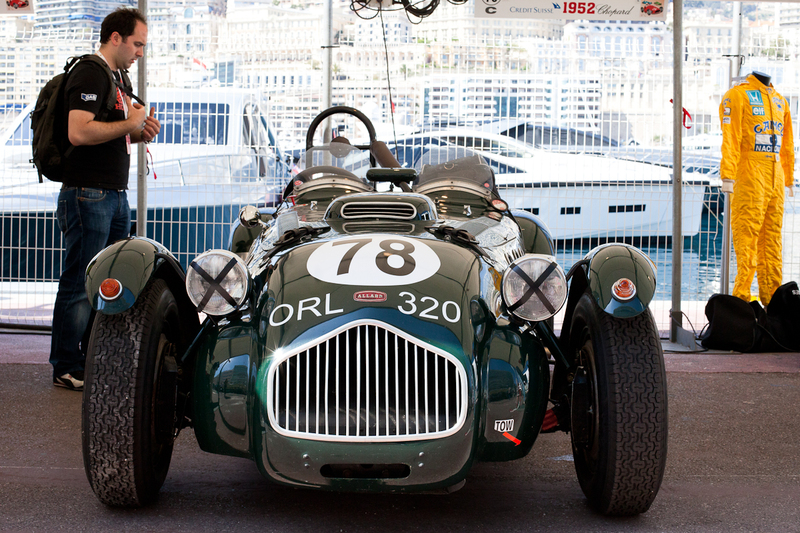 Today we see the three Allards entered for the Serie C race. 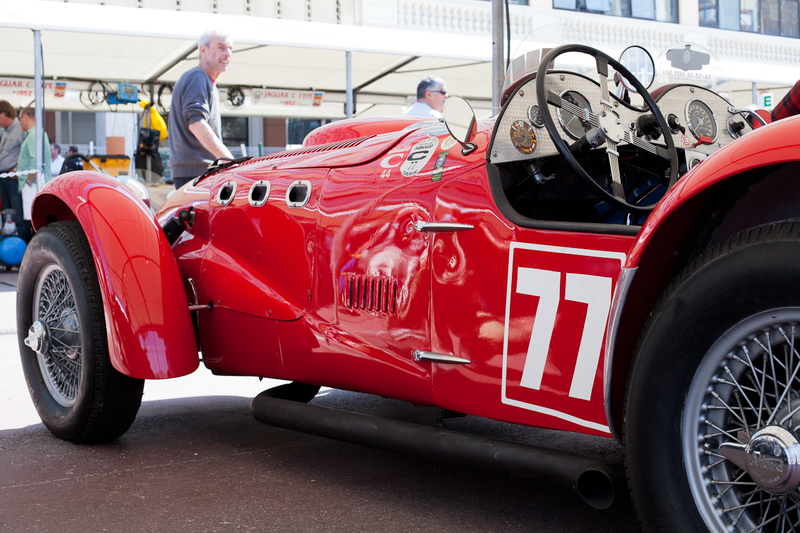 The red one is a J2X built in 1952, entered from America. The one in the smaller photo is a J2, (1950) from the UK and the last one is a J2X (1952) from Italy. 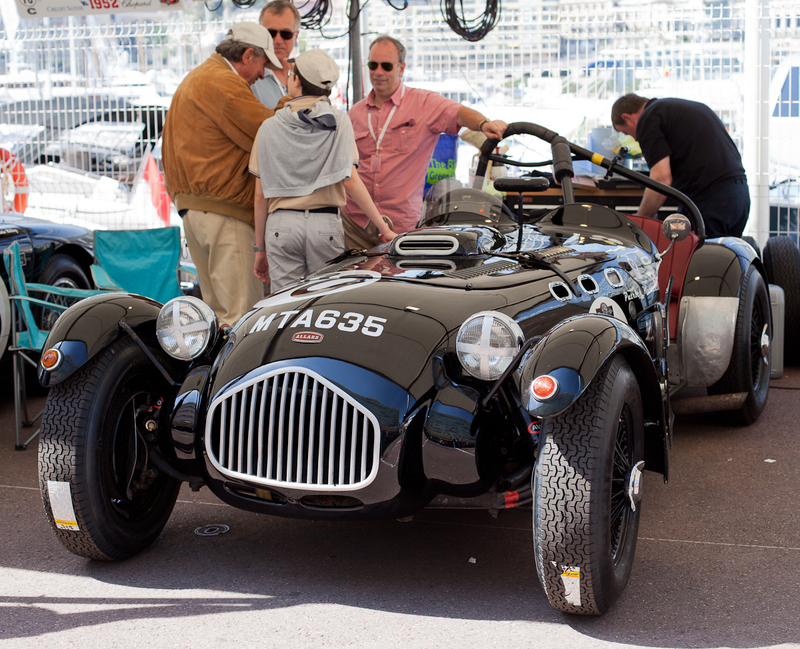 Note, (in the photo below) how close the cars are to the yachts at Port Hercule. And in the last photo (courtesy RM Auctions) is a 1957 Ferrari 625 TRC Spider which sold at the Classic Car auction last Saturday at the Grimaldi forum for 4.5 million euros. It's one of only two built by Ferrari. The estimate was 1.5 million euros but with two determined bidders it went up and up and up ... Total receipts at this auction were 33 million euros. Recession? What recession? The Ferrari is so elagant looking! I love the lines of the black car, too. The rich are getting richer, and the poor are getting poorer. If I had that amount of spare cash lying around, I would probably buy a classic car too. Probably an E-Type Jag in British racing green.